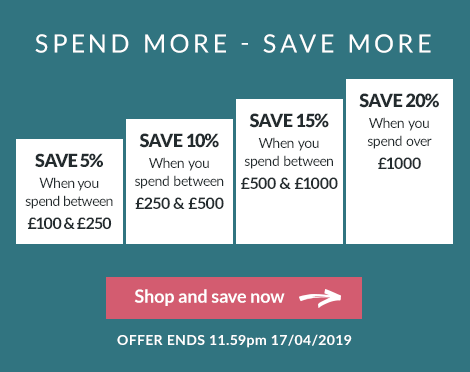 Beautiful wooden shutters and blinds cost less this spring, with our brilliant Spend & Save promotion. It's just like growing your own savings. The more you spend, the bigger the discount - right up to 20%. Your Spend & Save discount will be applied automatically when you checkout. But hurry - offers like this can't last forever. Order your shutters today!